Dog breath. Or even cat breath, for that matter, is generally not a sign of fresh breath. But does it mean something more? Bad breath in your dog or cat can be a sign of halitosis, stomatitis, gingivitis, periodontal disease, mouth ulcers, gum inflammation, and abscessed teeth, to name a few things. If you have dealt with any of the symptoms above (or beyond) you will understand how important mouth health is to your pet. Our pet’s ancestry may play a role in their overall health and how well the teeth and mouth function. Parents who have a high mineral content prior to and during pregnancy pass off this benefit to their offspring. A high mineral content is important to produce healthy babies, as well as the minerals involved to produce healthy, strong, plaque-free teeth. Another important factor to healthy teeth is a healthy spine. Did you know these parts of the body interact? We have many nerve endings that transpire in the spine and connect to each of the teeth as well as having a connection with our internal organs. When one of these elements are out of sync, the problem may lie further than the tooth itself. Try as we might to keep our pet’s teeth healthy, sometimes a tooth will need to be removed. There are obvious reasons and concerns to remove teeth such as abscesses and severe cracked teeth that can lead to loss of appetite, but one also has to consider the effect it has on other parts of interconnected body. What can you do to help your pet’s mouth? 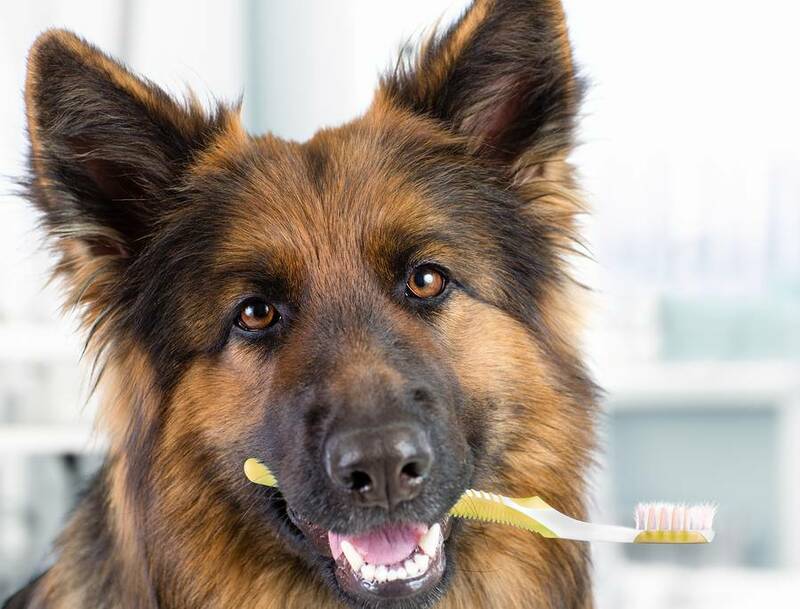 Besides some of the obvious at-home regimens of brushing your pet’s teeth, checking/observing their gums, and frequent inspections of the mouth, you can provide them with natural items for chewing. Below are some suggestions to help give your pet all-natural chews that contain safe ingredients. Make sure you choose healthy items for your dogs to chew on. Rawhides are often laced with chemical cleaners, formaldehydes, and bleaching agents, along with glues. Smoked bones typically are smoked with nitrates, which are carcinogenic or chemicals that are known to cause cancer. Bleached-stuffed bones are often filled with low-quality ingredients such as byproducts, corn, soy, wheat glutens, propylene glycol, and more. Some chews have plastics and nylons that have been approved for your pet. Don’t forget sourcing or the country of origin can also play a role in a healthy dental chew. In addition to brushing and chewing, have you ever tried using a waterpik on their teeth? This can also be helpful for dislodging food particles and rinsing bacteria. I find this can be useful on those dogs who refuse to have their teeth brushed. It might be a bit more difficult to use on our feline friends, but I’m sure a few would tolerate it. There are options for both full dental cleanings at your clinic’s office, as well as anesthesia-free dental cleanings offered by professionals to help remove plaque build-up. If you are concerned about your pet’s teeth and gums let our on-staff Naturopath guide you to some remedies for building the teeth with herbs and other natural options. We can also help conquer bacteria overgrowth, halitosis, and minor gum inflammation. There is a time and place when your veterinarian should be your first phone call. If you are concerned there may be a cracked or abscessed tooth, bleeding from the gums, drooling or dropping food from the mouth these may be a few signs that it may be time for a check-up.